ROUTE: Up Cheseboro Fireroad, Sulphur Springs, to the Lookout. The return route is up to the group. Parking: On your way to the trailhead just before the bridge you will find a dirt parking lot on the right side of the road. We ask that you BRING A SIGNED WAIVER or email it to us at jrabikesandbrew@gmail.com. You must always come prepared with a bike in good working condition, water, a helmet, as well as any protective gear you deem necessary. It’s a good idea to bring something to eat if you haven’t eaten in the last few hours. You should bring an extra innertube in case of a flat. We always host “no drop” rides. This means we won’t leave anyone behind. We always welcome new riders however we do recommend that you have good bike handling skills and appropriate fitness for the ride distance. Bicycling has its inherent risks, including serious injury or death. Your participation is an acknowledgment of those risks and an assumption of liability. 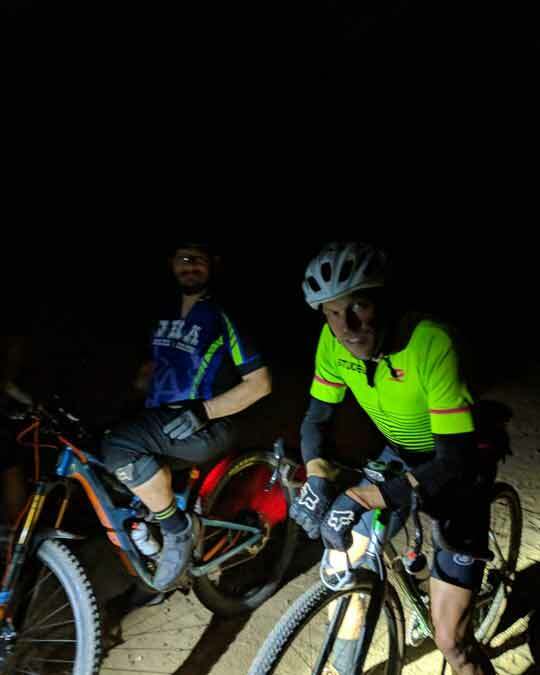 Riding at night requires sufficient lighting. We recommend a light with a minimum of 1000 lumens.